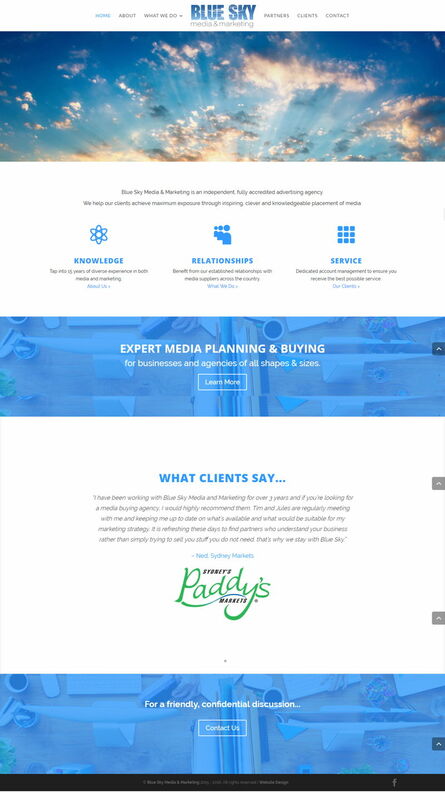 Blue Sky Media & Marketing is an independent, fully accredited advertising agency. They help their clients achieve maximum exposure through inspiring, clever and knowledgeable placement of media. This was a site redesign. I collaborated with ‘Rachel Ziv'(http://www.rachelziv.com.au/) on this project. She is a qualified copywriter with over 10 years of experience..